In 2014 there were 1,729,806 burglaries reported. 202, 670 of those happened in California, 169, 234 in Texas and 143, 220 in Florida. Burglary is just one type of property crimes (there’s 8 more). What’s worse is that for the last 10 years (2005 to 2014) the average rate of arrest related to property violence is at 7.09%. 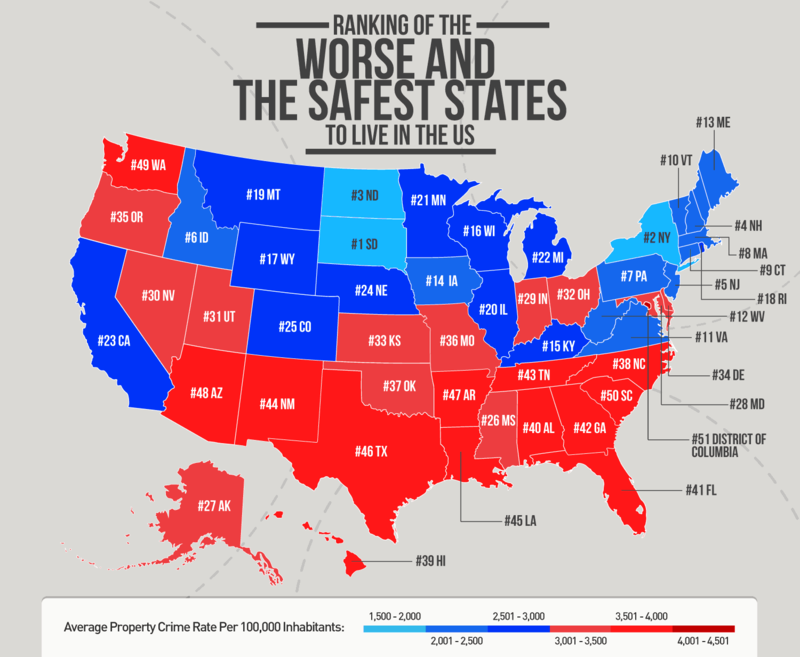 [TL;DR] South Dakota, New York and North Dakota are three of the safest and the best states to live in. While South Carolina and District of Colombia are the worst states to live in America (at least from 2005 to 2014). We’ve also gathered data on other crimes such as robbery, burglary, larceny-theft, motor vehicle theft and etc. For this post we shall focus on property crime rate. Property crime per 100,000 inhabitants. We focused our analysis on the years from 2005-2014. The latter is because data from 2015-2016 is scarce and incomplete. That is why using this information, we are able to provide you with a list of the safest states in the U.S. Since 2000 the percentage of household victimization has ranged between 22 and 27 percent annually. For the same 10 years, 14 to 19 percent of American have personally been a victim of crime. These numbers should make any homeowner think twice about their safety and the safety of their home! “Traditional crimes against property or physical assaults typically affect one in four U.S. households and just under one in five Americans each year. The reported crime rates are generally stable, suggesting a fairly constant level of crime that only varies at the margins.” – more here. We feel that taking it to the next level would help us help you determine which states have been safe for the last 10 years (Not the previous year and not the current year – It’s the last 10 years ago!) and which one is highly likely to stay that way. what is the safest state in the United States? what state has the lowest crime rate? Which one has the highest number of solve cases? The best state when it comes to recovering stolen property! We want to be able to present to you a definitive guide, an all-in-one solution, to where would you want to live in if you’re to pack your bags today. Population growth – did it have significant effect on the data? Theoretically speaking the greater the population growth the higher the crime rate is. New York state has a total population of 19,315,721 (2005) and 19,746,227 (2014) that’s a total population growth of 430,506. Based on our data, New York state is the second safest state. Wisconsin; total population 5,527,644 (2005) and 5,757,564 (2014), and total population growth of 229,920. Therefore: population growth has zero significance when we determine the average property crime rate per state. But what about total population- Does it hold any significance? Here is a live sample. South Dakota and District of Colombia, both states have almost identical numbers of inhabitants but the later has property crime twice as much as the earlier. On the other hand, New York state (19,746,227) has 4.5 times inhabitants to that of South Carolina (4,832,482) yet the later has property crime half of the earlier. Therefore: The number of inhabitants is directly proportional to the number of property crime rates by state. But there are other factors to consider: crimes solved, violent crimes and spending habits when it comes to security systems. Violent crime dropped by 4.4% in 2013 compared to 2012. “(a) 4.4% reduction is astounding. If you saw a similar decrease in unemployment or increase in the GDP, it would be huge national news.” – more here. Nationwide the number of violent crimes has decreased by nearly 15% in the last decade. If you check on the property crime rates by state datum, the numbers significantly dropped starting in 2009. Coincidentally, this was the year wireless home security systems like Frontpoint, Xfinity Home and Link Interactive. began to surface in the market. We’ve conducted a separate study on the spending habits of Americans when it comes to buying home security system. What About Home Security Systems? The US security market is estimated to have driven revenue of more than $10 billion in 2014 and that is expected to jump to $13 billion by 2017 (The highest growth seems to be in the middle market homes.) 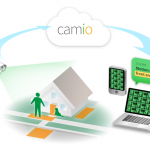 – And that is only residential security systems. Home security usage increases along with age and income with married people being more interested in protecting their homes. And these indicators gain even more importance when considering most burglars tend to avoid homes with a security system. The number of offense reported from 2005 to 2011 ranged from 15,628 to 15,468 respectively – steady but no significant decrease. It was only in 2012 (14,738) to 2014 (12,005) that there was a noticeable decrease in the number of offense. Did the emergence of DIY home security systems lead to the significant decrease in the number of burglaries? Good question. But we’ll answer that on a later blog post. If you’ve gotten this far, we want you to know that you’re awesome! Don’t forget to share this information with your family and friends to keep them up-to-date too! PS: If you are representing any website associated with any of the states that made our top 10 list, and you want to link to this post with a badge, or you want to use the infographics above. Or you want to use our data and graphics as source – contact Rienzi ([email protected]) for details. 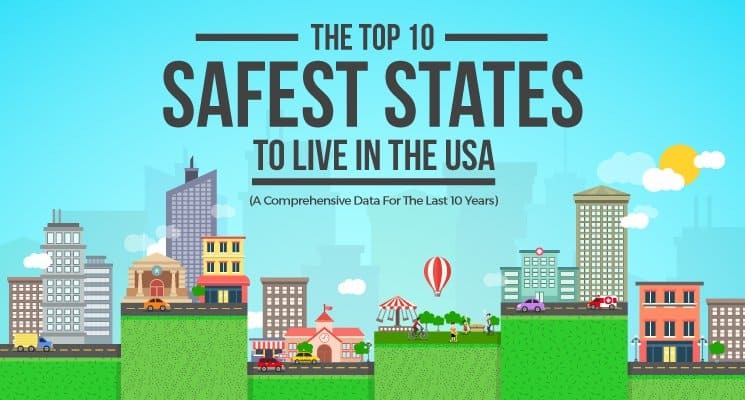 So there you have it, the top 10 safest states to live in the US for the last 10 years! 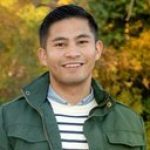 Whether you’re planning on moving out next week or preparing the whole family for migration, you have this guide at your disposal so you are able to make informed decisions on (which state has been the safest through the years and) where to live based on the crime rates by state data and how to best protect yourself, your family, and your home. We want to hear your thoughts on this. It would surely make a difference if you share your 2 cents in the comments below. We’ll be happy to reply to every comment! 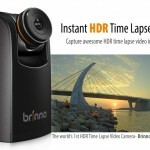 Interview with Chris Adams of Brinno.com: "Time Lapse Videos Made Easy"